1. How much is my Lake Tahoe home or property worth? Answer-Realtors will want to do a comparative market analysis to get a price for your Lake Tahoe home or property. The way they do this is by looking at similar homes and properties that have sold recently. They will take size of property, number of bedrooms and baths, year built and neighborhood into consideration when doing this. Most importantly the overall location. Current market conditions and trends influence values greatly. This is how they come up with a price for your Lake Tahoe home or property. 2. How long will our home or property take to sell? Answer-The length or time it will take your Lake Tahoe home or property to sell is directly correlated to the listing price. Overpriced homes will not normally sell and if they do it won’t be very quickly. Buyers also know that the longer a home or property has been on the market the more negotiating room they have. Buyers know that sellers are more desperate to sell the longer their home or property has been listed. So, making sure your home is priced competitively is key to selling success. 3. What will you do to market our home or property? Answer-Your home will be listed on the internet as a preferred property. It will also be listed on Zillow, Trulia and Realtor.com as well as my website which is on Google. There will also be open houses to show your home, www.realestate notifications will be sent to potential buyers with homes and properties that are on the market as well. 4. 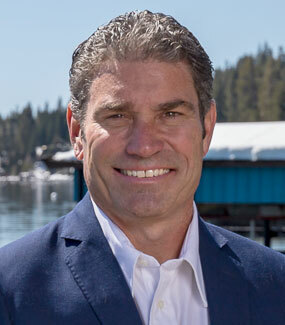 How much are you going to charge me to sell my Lake Tahoe home? Answer-Realtors need motivation to sell your home or property. If you try and cut the percentage that your realtor will make, your home could potentially not be shown as much as other properties that are being sold. Realtors want to sell homes when they are going to make a commission and it’s worth their while. For example, the standard commission for selling a home is 6%, if you try and cut that commission to 3%, 4% or 5% and the realtor listed another home where they will be getting 6% which home do you think will get shown more? The home where they will be getting the 6% commission.